Neighboring California’s Central Valley, one of the most productive agricultural regions in the world, the Central Coast is lucky to have unparalleled access to some of the freshest produce in the world, which only gets better in the springtime. Picked at the peak of freshness and quite literally moving from farm to table, you’ll love savoring local produce at one of the 14 farmers’ markets operating in San Luis Obispo County. With Avila Beach‘s first Farmers Market of the season kicking off this Friday, April 5th at 4:00 p.m., we decided to share some of the best and worst Farmers Market practices so you can navigate the promenade like a pro! One of our favorite benefits of the farmers’ markets is that it encourages people to go green and buy local! When you buy your food at the farmers market, indulge with the peace of mind knowing that your food hasn’t traveled far or been tampered with. 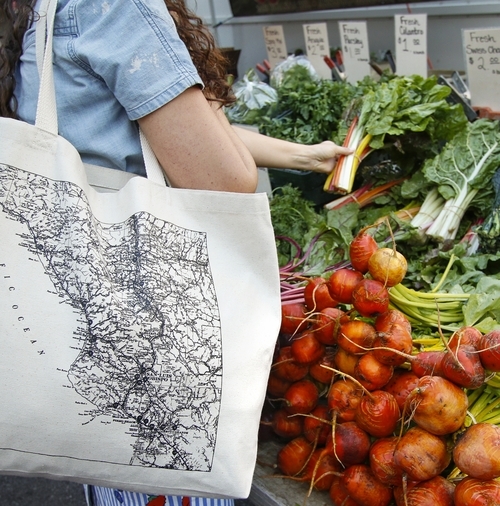 Take going green one step further by bringing your own reusable bags and baskets to take your fresh produce home in. This reduces plastic waste in the environment and adds a personal touch to your shopping experience. Double your bag as a souvenir and check out these unique SLO tote bags, or find your own as you shop in Avila’s boutiques and shops. 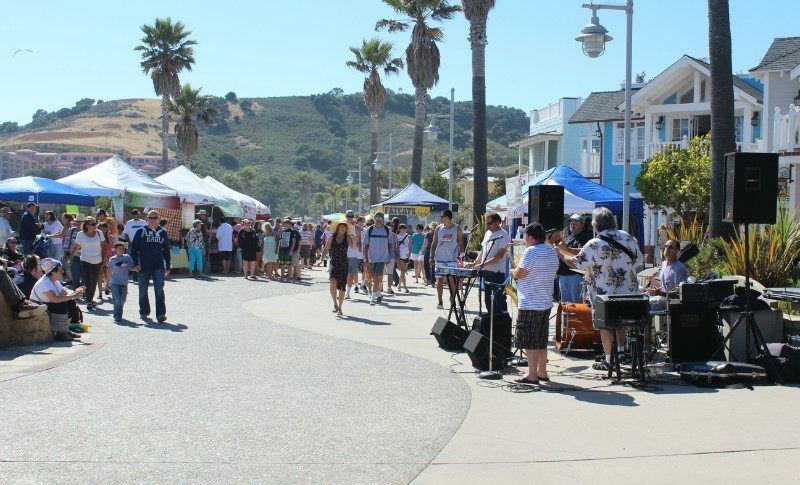 Although the Avila Beach Promenade is an idyllic spot to walk your furry friend any other time, Fido isn’t allowed on the promenade during the Avila Beach Farmers’ Market due to health department regulations. In order for the market to continue operating, please respect this rule. By leaving your dog at home or at your dog-friendly hotel, you’ll be able to enjoy the market without worrying about if your dog is bothering anyone or finding stray fur in your food. 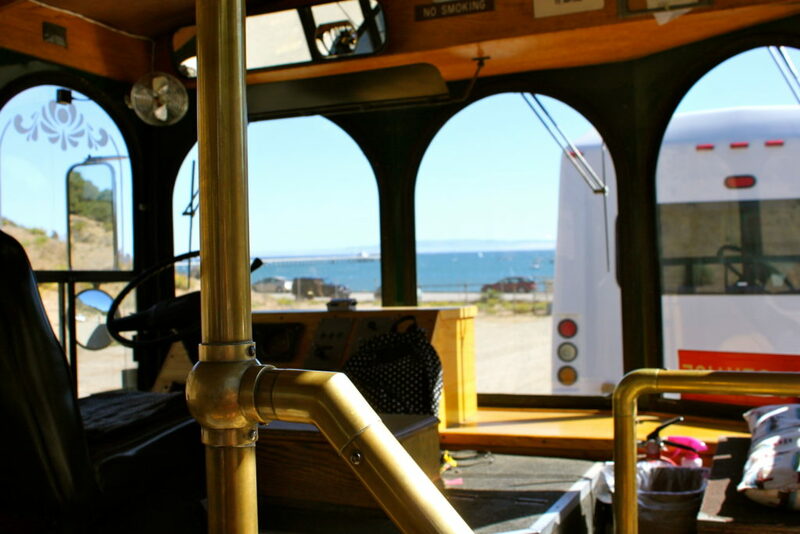 Rather than deal with the stress of finding free parking for this popular local event or paying to park in the nearby public lot, ride the free Avila Beach Trolley! With this amazing service, park at one of the trolley stops away from the crowds and enjoy the scenic ride into the heart of the market! When you do, you’ll receive a free market buck to spend! When you visit Avila’s Farmers’ Market, you’ll experience one of the most unique markets in California. 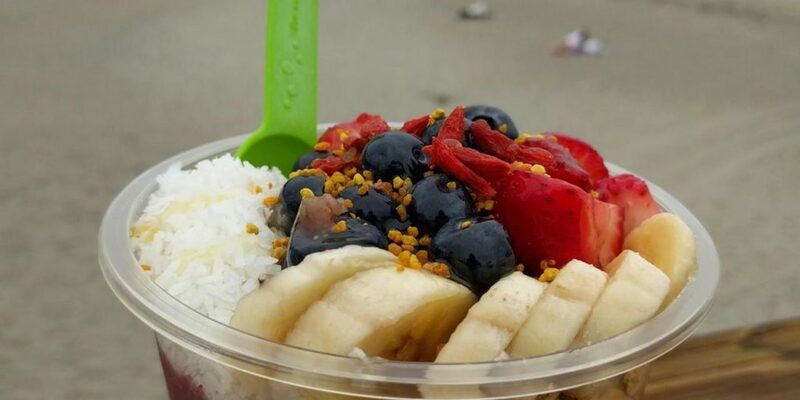 As one of the only markets to offer the Pacific Ocean as it’s backdrop, enjoy a variety of foods from local restaurants and producers. From fresh seafood to savory Santa Maria-style barbecue, authentic Mexican food or roasted corn on the cob, homemade honey or local olive oils there’s sure to be something to sample that you’ve never tried before! Next time you visit, don’t stick to your go-to order, surprise your taste buds with a new favorite. 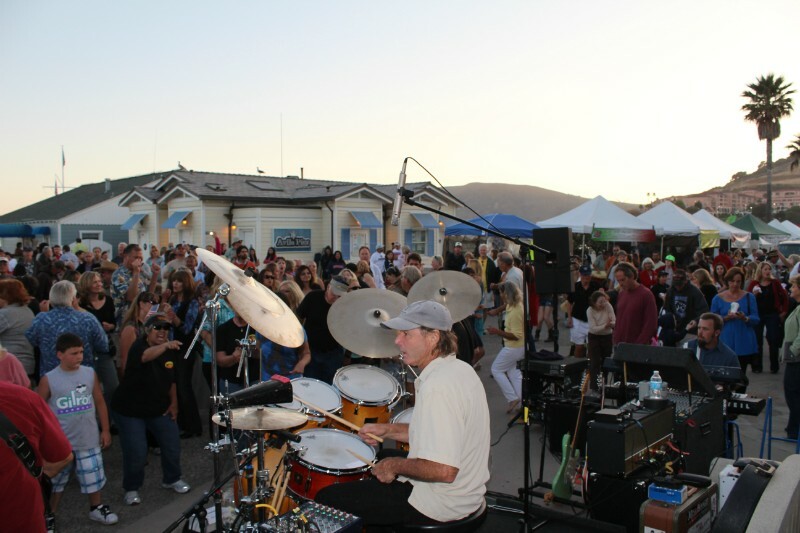 The fun atmosphere of Avila’s Farmers’ Market is enhanced by live music and dancing every week! Local musicians will play from a variety of genres including Reggae, Rock, Funk, R&B, Country, Acoustic Covers, Pop, Blues, and more! As you stroll around the market, be sure to stop and enjoy the music or be bold and start the dance party! This Friday, don’t miss Boombala shake up the promenade with their fun Reggae sound. Click here for the full entertainment schedule for the 2019 season, and let the fun begin! 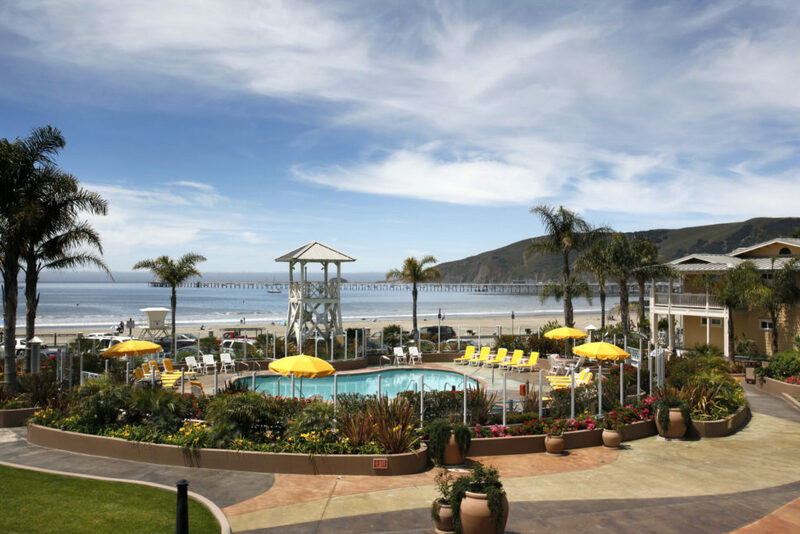 When the fun is done, fall asleep to the sound of waves crashing on the shores at our very own Avila Lighthouse Suites! With rooms starting at $260/night, this is a great place to stay with the beach and the farmers market right outside your door!